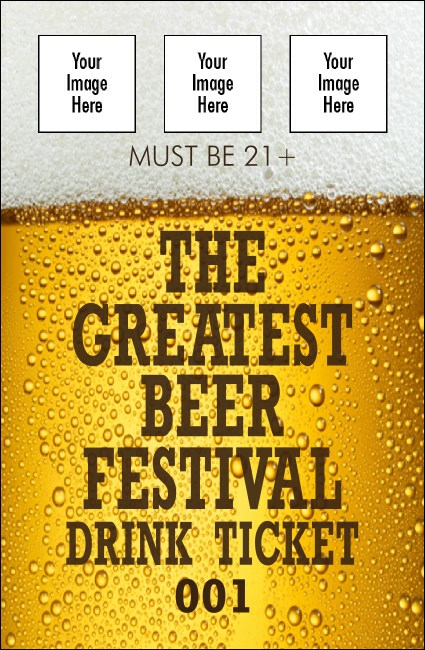 Give your guests the chance to kick back with a cold one when you sell Beer Festival Drink Tickets at your event. These tickets pack a big punch into every pint glass with room on the template to upload three of your own unique images on a background that looks just like a frosty, delicious brew. Find the right ticket for your tap at TicketPrinting.com.